Paul Quinn and James Schreiner's mutual passion for wine was discovered while tossing artisan pizzas at a part time job. The two could not help but discuss wine making, brewing and well, fermenting anything really. 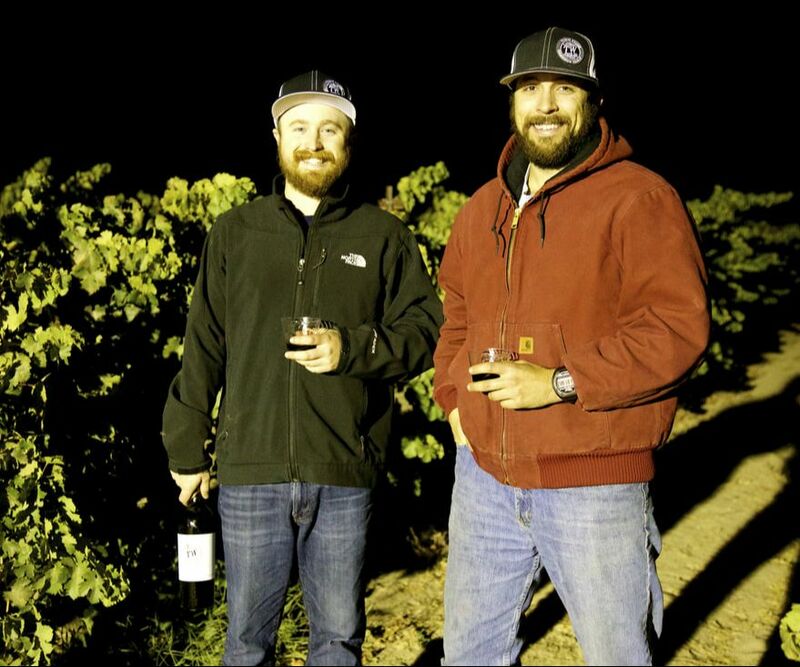 While in college, the friendship grew into a partnership when they decided to attempt wine making themselves. Beginning with Cab and Merlot in 2009, Paul's thoughts were that it was at least "drinkable" and James said "It did the job." This stemmed the desire to create an opulent and honest wine- thus the creation of Straight Cab. The boys grew up less than fifteen minutes apart in Southern California but did not meet until their college years in San Luis Obispo. When they are not making wine, James spends his time trying not to be eaten by sharks while surfing the waves of the central coast. Paul has a serious bug for travel, and has been to over ten countries in the last 5 years. Both enjoy cooking with a nice bottle of wine or barbecuing Central Coast classics like tri-tip with a cold beer in hand. The name Thomas William came from uniting Paul and James' middle names for the cultivation of a new wine experience. Their excitement and knowledge for all things fermented has help catapult their adventures in wine making, distilling and brewing. The name, Thomas William Fermentation Company allows the boys the opportunity to share any and all craft beverage endeavors with you. TW FermCo is the result of their separate aspirations turned into a collective dream.